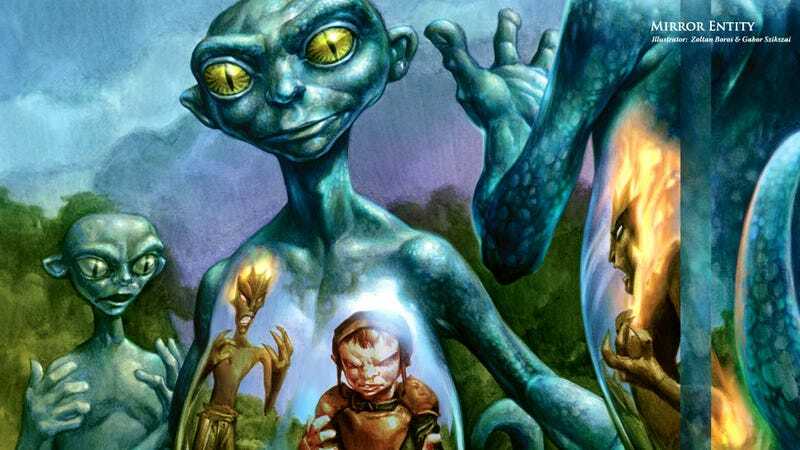 The Magic: the Gathering video game, Duels of the Planeswalkers, gets its annual refresh this summer, and we've an exclusive deck full of slivers to show you, along with some strategy to get the most out of your sliver swarm. Each edition of Duels of the Planeswalkers comes with new decks to play with and unlock. Each deck starts out with 60 cards, and there are 30 more you can unlock by winning games. You can swap your newly unlocked cards in and remove some of the old ones, giving you a decent amount of flexibility when it comes to tuning your deck. The deck I've got for you today is titled, "Ess-Nelek’s 'Sliver Hive' Deck." I have no idea who Ess-Nelek is, but he's apparently got a lot of slivers in his basement. 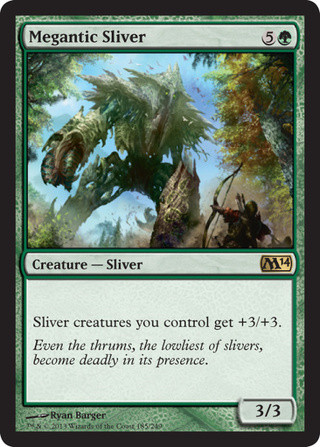 Sliver Hive is your basic tribal deck, in which your creatures gain strength when you add more creatures of the same type — in this case, new formula slivers. Because slivers are found in all five colors, to really take advantage of them you need to run as many colors as possible. This is a three-color deck: green, red, and white (a color combination referred to as "Naya" by the magnoscenti). Running three colors can be difficult, but this deck enables it in a number of ways. First, most of the spells in it only require a single mana of a given color to play. So once you have a forest in play, you can play almost all of your green cards, for instance. The deck also includes several mana fixing cards like Cultivate and Rampant Growth. Those will allow you to grab exactly the land you need to cast what's in your hand. They also accelerate the deck by letting you play bigger threats earlier than your opponent can. The stock deck relies heavily on those mana fixing spells. You'll spend your early turns playing the cheaper slivers, like Striking Sliver and Predatory Sliver, in between playing your Cultivates and Rampant Growths. 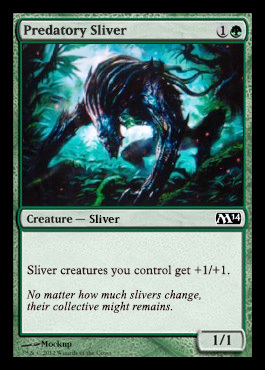 By turns four and five, you should be playing some of the big slivers, the ones that juice your whole crew, like Megantic Sliver and Thorncaster Sliver. If your opponent can't deal with those threats, you can ride them to victory. The unlockable cards provide plenty of opportunities to upgrade this deck, and two different paths you can take, depending on your play style. One way sticks with the original plan, ramping up to bigger and better spells. Wild Pair and Mirror Entity will both end games very quickly, while Bifurcate, Faith's Fetters, and Savage Beatdown give you more powerful ways to deal with your opponent. I'd definitely pass over creature enchantments like Indestructibility and Unflinching Courage. Your slivers power each other up, so you don't need to waste cards on enchantments to do it for you. I'd also drop the Groundshaker Slivers. For seven mana, you want a card that will basically win the game for you (like Titanic Ultimatum), and Groundshaker isn't worth the cost. There's an entirely different way to build this deck, though, which is suggested by the inclusion of the classic card Armageddon among the unlockables. Armageddon destroys all lands in play, and is best used by aggressive decks filled with low-cost creatures and spells (the setback in mana production hurts your opponent more than it hurts you). 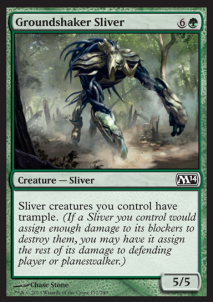 You can mold Sliver Hive into a very fast, aggressive build by eliminating any of the expensive creatures and spells and focusing on those that cost three to four mana or less. You may want to cut some of the Cultivates and Rampant Growths as well — not all of them, since you still need to find your three colors, but you're not as dependent on them in this build. It's pretty interesting that old cards like Armageddon and the amazingly powerful Survival of the Fittest (which belongs in this deck no matter how you build it), as well as the less powerful Lifeline (which has errata that makes it affect both players, and doesn't really seem to fit in Sliver Hive very well) are unlockable. Duels of the Planeswalkers hasn't really dipped into Magic's classic card pool, generally showcasing the most recent sets. Getting a little glimpse into Magic's history is very cool. Now if only they'd include some decent dual-color lands in these decks, instead of sticking us with Terramorphic Expanse.